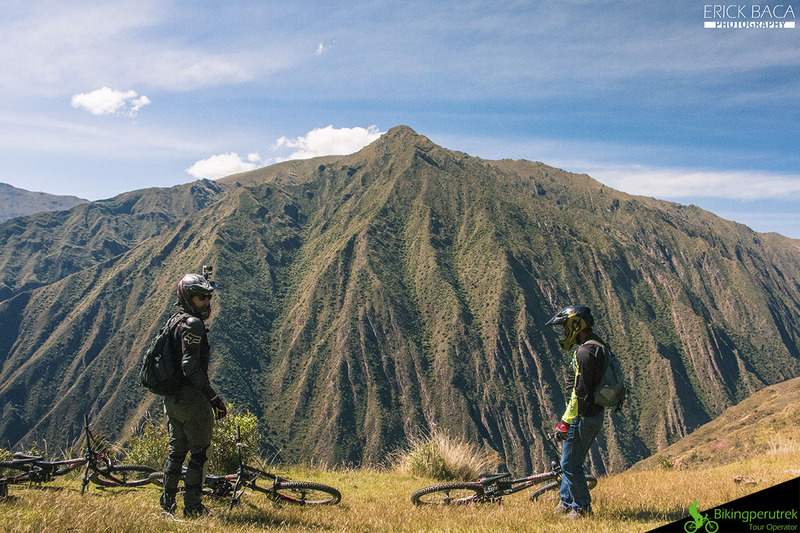 The Black Sacred Downhill is a new route which is very similar to our well known Sacred Downhill tour. 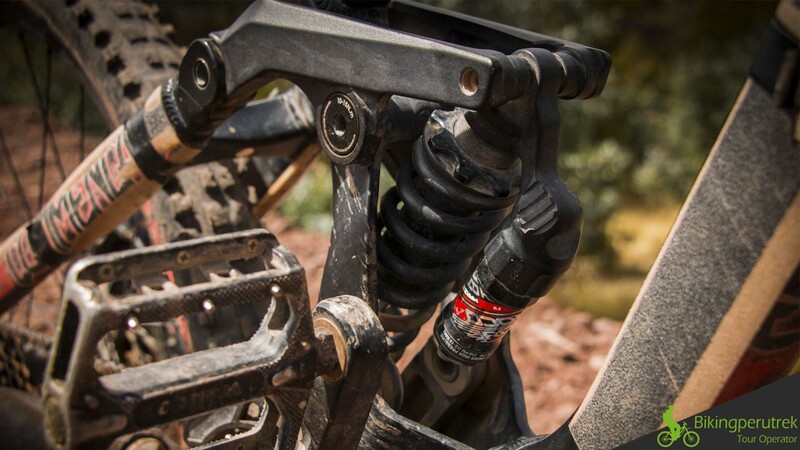 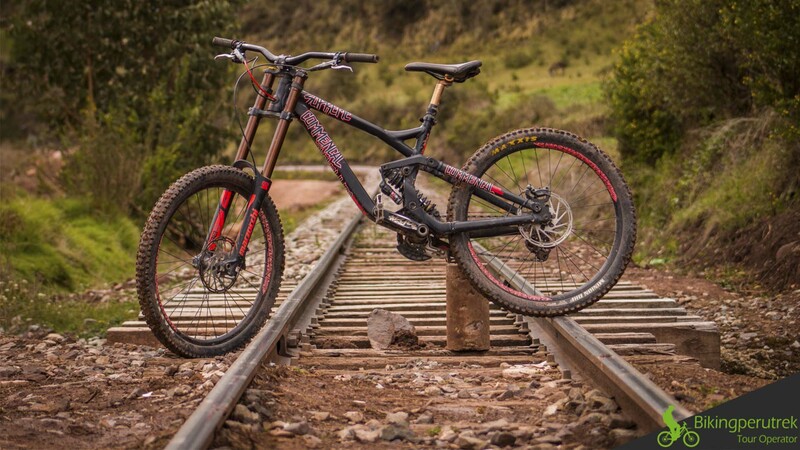 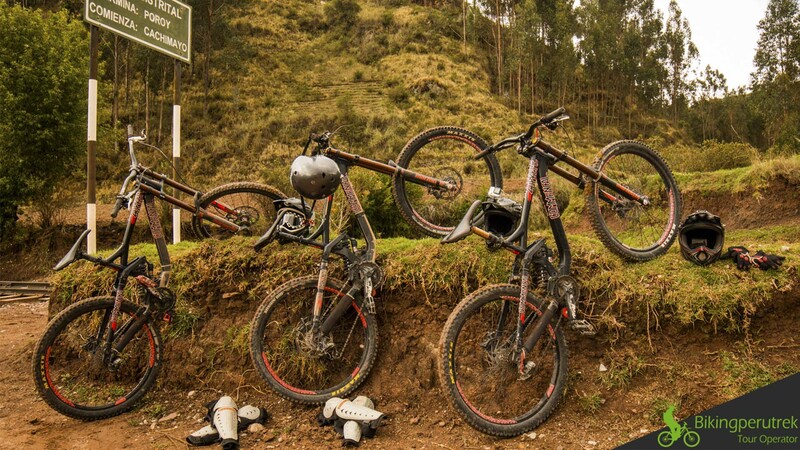 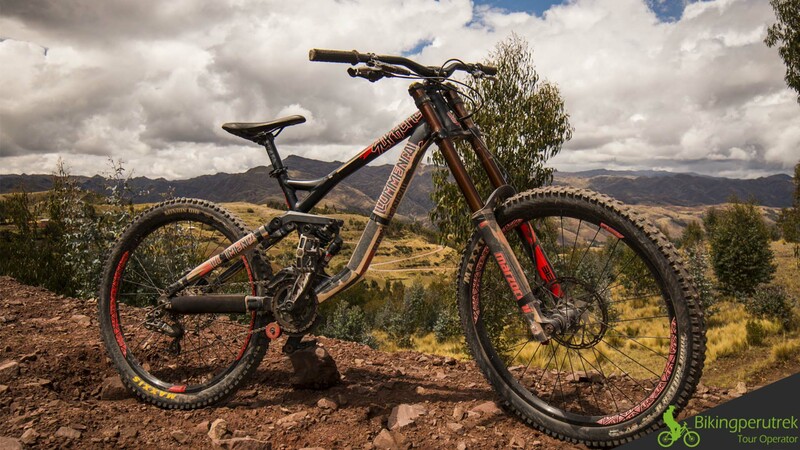 The main differences are in the first trail which is developed for well experienced downhillers. 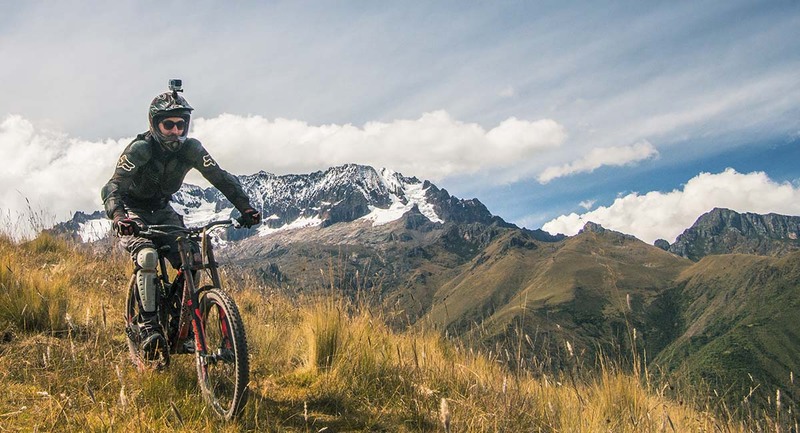 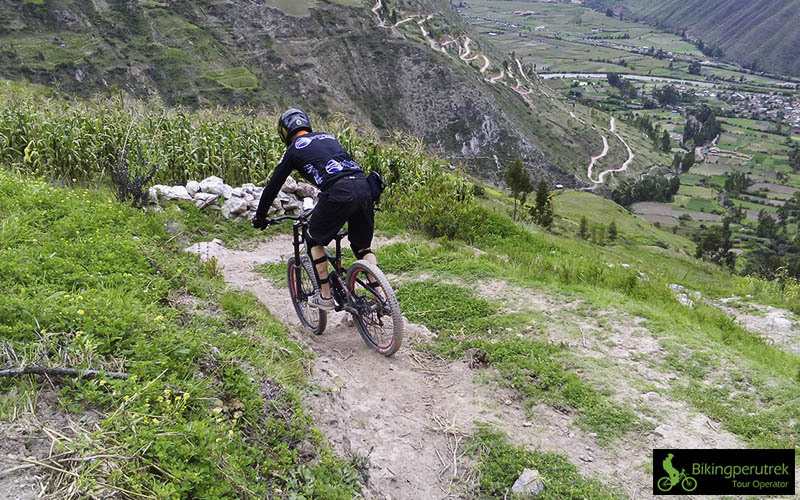 The first trail of our Black Sacred Downhill starts on an altitude of 4150m which is 200m higher than the starting point of our normal Sacred Downhill tour Furthermore there is right at the beginning a little sports activity. 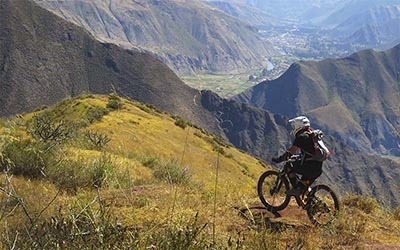 Starts on a location which is not reachable by car, because of that we have to face a short hike with our bikes for about 15 minutes, after that we get on a very narrow single track with its challenging sections which takes you to your limits another difference is the view. 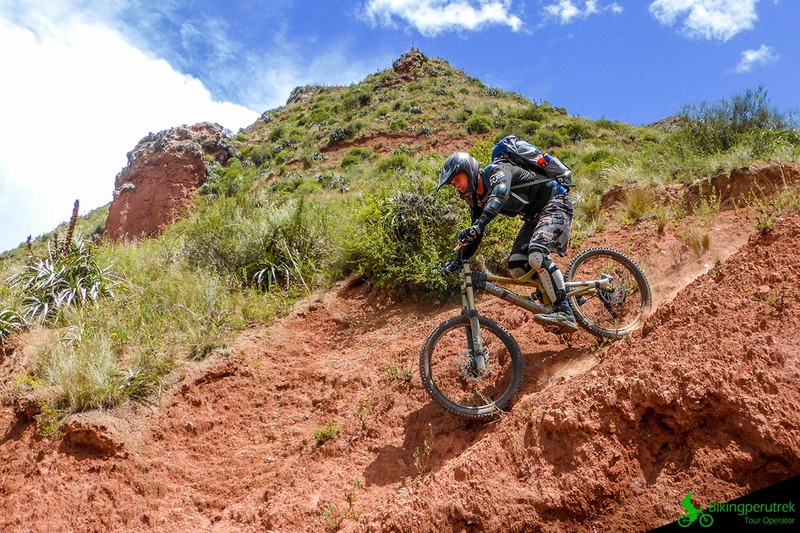 In our normal Sacred Downhill tour you come along the Urquillos Valley and you face the Chicon massive from the right side. 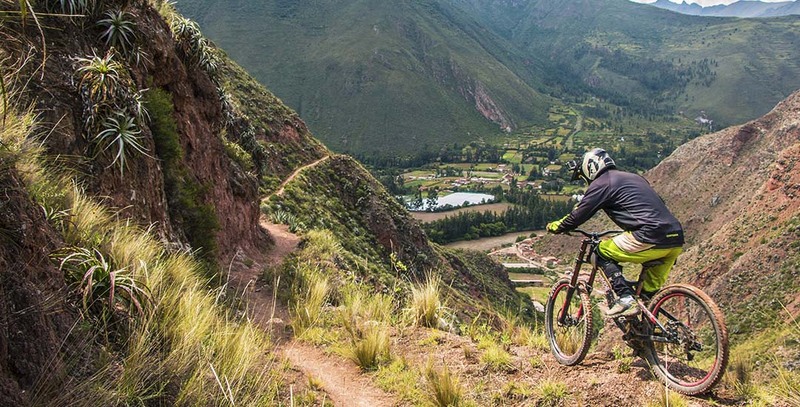 In our new tour you face Mt Chicon straight away and get the view all over the Sacred Valley.